Indian Railway - How Safe is it? Today, morning started with the shocking news of a major railway accident in Madhya Pradesh near Harda town in which more than two dozen passengers died and hundreds of them got wounded. 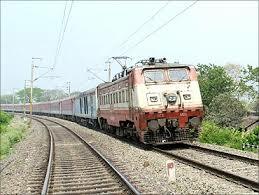 The two trains which become a victim of this incident are Kamayani Express and Janta Express. As per the news, this accident may have happened due to flash floods which took away the land below the rail tracks, thus causing both trains on different tracks to derail at the same location. Whatever may be the reason, the reality is that a few more people lost their lives in a railway accident. Government of India is saying that this accident is a result of natural disaster and therefore, nothing can't be done. As per the Railway board Chairman, two other trains passed safely this route just ten before the incident. In the rainy season, it is common to see rail tracks getting damaged because of Rain; therefore, it was the duty of Indian railway to ensure extra safety on the routes where flash floods may come. However, India railways move with very little safety measures and we lack advanced electronic systems which can stop trains during any problem with the tracks. In India, it is common to see news related to railway accident and anyone who travels through the Indian Railways make himself mentally prepared that he is taking a risk. The sad part is that the Government announces many new trains; however, it doesn't take Railway safety seriously. On the one side, we are preparing ourselves for the Bullet train and on the other side, our tracks are fit to face rains. Corruption, mismanagement and politicization are pulling Indian Railway down. It is sad to see so many people dying due to railway accident and still no concrete steps are taken to solve these problems. There are many things which can be done to make Indian Railways one of the best in the world; however, somewhere we lack will power to do so.